There are an estimated 6 million people in the United States with Alzheimer’s according to a recent study by UCLA, with close to 50 million people in various early stages as of the end of last year (2017). During the same time period, the World Health Organization says that there are 50 million people with dementia worldwide with about 10 million new cases diagnosed yearly. 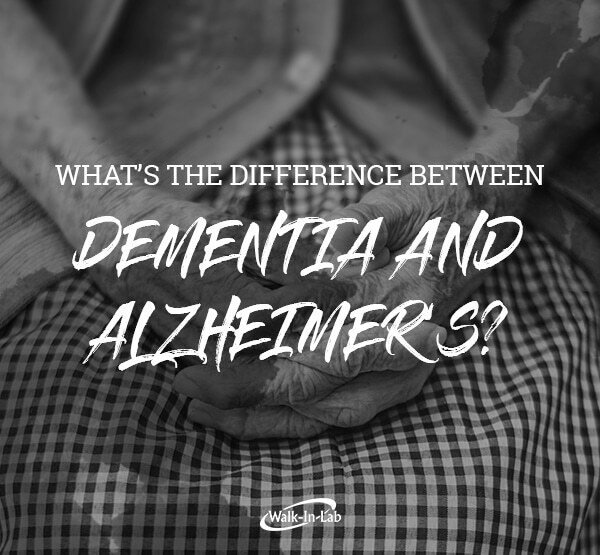 Some of you might be confused by these two facts because you thought dementia and Alzheimer’s were the same thing. But they are not. Alzheimer’s, however, has additional symptoms, some of which can be found in patients with dementia, but those people will not have all these symptoms at the same time. But the most glaring difference between the two is the potential prognosis. Alzheimer’s is currently a terminal disease. All we can do is manage symptoms, maintain quality of life and try to fight off the latter stages as much as possible. In contrast, while dementia is not curable either, it can be managed and doesn’t necessarily lead to death. We also know that there’s a genetic component to getting Alzheimer’s that isn’t always the case with dementia. If someone in your family develops Alzheimer’s, there’s a better chance you will, especially if that person is directly related to you like a father/mother or a grandparent. Dementia can be caused by various other syndromes (like Alzheimer’s). Huntington’s Disease can lead to dementia because certain nerve cells in the brain are being attacked. Repeated head trauma leads to dementia, just look at many famous boxers at the end of their careers. Creutzfeld-Jakob Disease, which can be inherited or gotten from eating infected meat, is fortunately still rare, but is also fatal. FInally, people with Parkinson’s Disease are much more susceptible to dementia than those who do not. When it comes to treatment, patients with either disease are in the same boat. Neither is curable, just treatable. Alzheimer’s patients are put on anti-psychotics and put on drugs that help fight memory loss. Fish oil and coconut oil both supposedly help with memory retention. FInally, drugs to help the patient sleep and fight off depression are also prescribed. When it comes to dementia, treatment leans more towards fighting the underlying cause instead of managing symptoms. Drugs are still prescribed, but they also look for tumors (to be removed), make sure there are no metabolic disorders and check to see if the person is suffering from hyperglycemia. Act! There is a natural inclination in all of us to try to put off what we think is bad news, as if knowing about it makes it worse. That’s not true. However, NOT knowing about it absolutely can make it worse, especially when it comes to dementia because it’s treatable. The one thing I think we can all agree on is that worrying about the unknown does absolutely no good for anyone. You aren’t better off. Your friends and family aren’t better off. Knowing is what makes you better off. Don’t wait. Get tested today!